04 « February « 2013 « Nothing in Biology Makes Sense! Carnival of Evolution: We’re hosting! 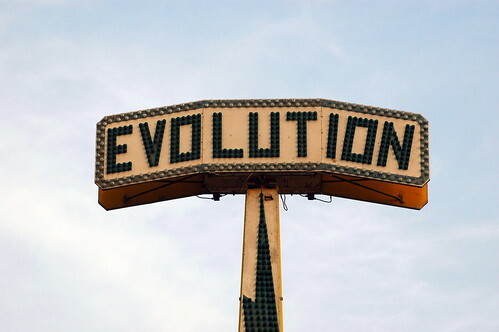 Step right up, step right up, ladies and gentlemen, to submit your fine evolution-related blog posts to the 58th edition of the Carnival of Evolution, the one and only community-assembled, community-supported, community-hosted aggregation of the finest online writing on the illustrious topic of Descent With Modification and all its manifold modified descendents. On the first day of March, this glorious Carnival will be found right here at Nothing in Biology Makes Sense!, the better to showcase the work of everyone from students to scientists to great fans of science, everyone and anyone, ladies and gentlemen, who believes and can demonstrate in mellifluous prose, captivating videos, eye-catching infographics, or hilarious LOLcats that bedrock principle of the modern life sciences, that nothing—no, ladies and gentlemen, not a gosh-darned thing—in the whole of biology makes sense, except in the light of evolution. Think you’ve got what it takes to join this revolutionary celebration of evolutionary science? Send us links to your blog posts, essays, videos, and webcomics at this elegant and convenient form (it requires a log-in, but then what doesn’t these days?) or simply e-mail them direct to Jeremy Yoder, our local curator of carnivalian content. Please do send’em before the 26th of February, though, to ensure proper packaging and adequate care of all your delightful and illuminating work. We thank you humbly and vociferously for your contributions, one and all—and we look forward to seeing you right here, at this very URL, for the Carnival of Evolution, in less than the span of one short month!